What a great Predators giveaway we just had! This week’s fabulous giveaway offers up a few of our most prized figures, which have been provided by NECA. 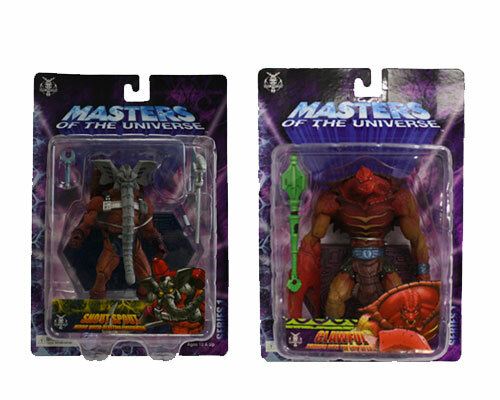 We have a two very rare Masters of the Universe Series 1 Mini Statues — with the possibility of even more! Some lucky fan will win Clawful and Snout Spout, but if this giveaway hits 1,500 entries, we will up the ante and throw in one more statue that has never been sold at any retailer. Designed and sculpted by the Four Horsemen and powered by NECA! This warrior with the grip of evil has incredible detail, from the scales on his hide to his baleful yellow glare. 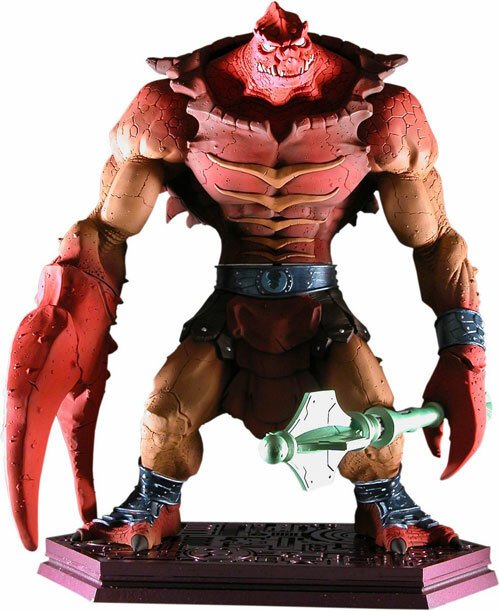 Clawful stands 7″ tall, and comes with a detailed display base and a club accessory. 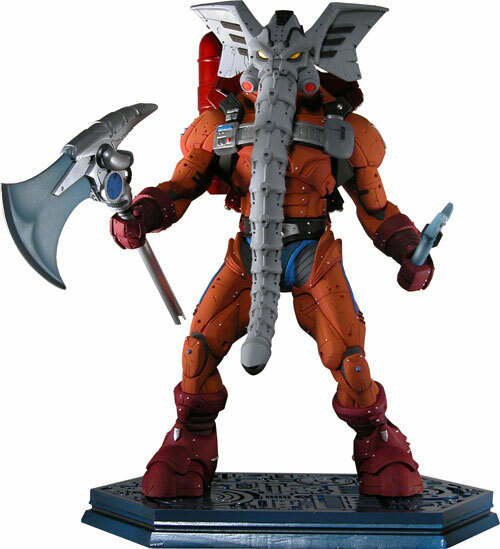 Also sculpted by the legendary Four Horsemen, this 6-inch resin statue is hand-painted with amazing precision, all the way down to the armored trunk on Snout Spout’s helm. The Heroic Water-Blasting Firefighter comes with battle axe, wrench, and highly detailed display base. If we hit 1,500 entries in this giveaway we will add this additional, ultra-rare prize! This exclusive figure has only been offered once and is limited to just 2,000 ever made. 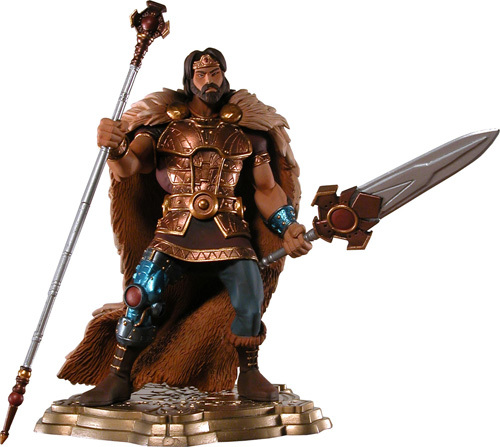 The Heroic Ruler of Eternia is hand-numbered and the perfect centerpiece for any collection! In order to qualify to win this prize you must answer the trivia question correctly. You can improve your chance of winning if you use Facebook and Twitter. We love doing giveaways, but we also love to hear what prizes you want to win. Let your voice be heard and tell us! 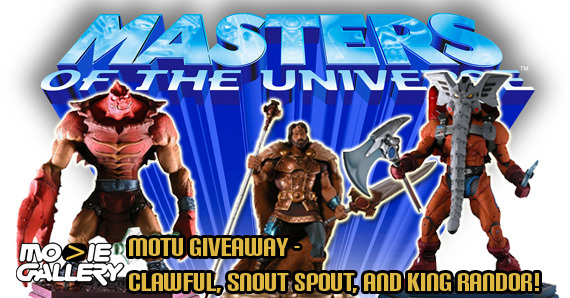 This entry was posted in Contests & Giveaways, The MG Blog and tagged masters of the universe giveaway, motu, motu giveaway, neca by summerm. Bookmark the permalink.